Daily Bolta Pakistan is an urdu daily news paper of Pakistan. It is publishing simultaneously From Islamabad, Karachi, Lahore and Rawalpindi. Daily Bolta Pakistan was launched in March 2009 From Islamabad and in March 2011 From Azad Kashmir & March 2012 from Multan. 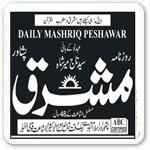 It is a daily newspaper from pakistan, This newspaper gives all updated and latest news from Pakistan. It is ABC certified and member of APNA and CPNE. For Those Who Want to Read Daily Bolta Pakistan They Can Visit It's Official Website: www.boltapakistan.com.pk. At The Website You Will Find Old Daily Bolta Pakistan Too. You Are Visiting Daily Bolta Pakistan Page of Epaper.PkNewspapers.com.